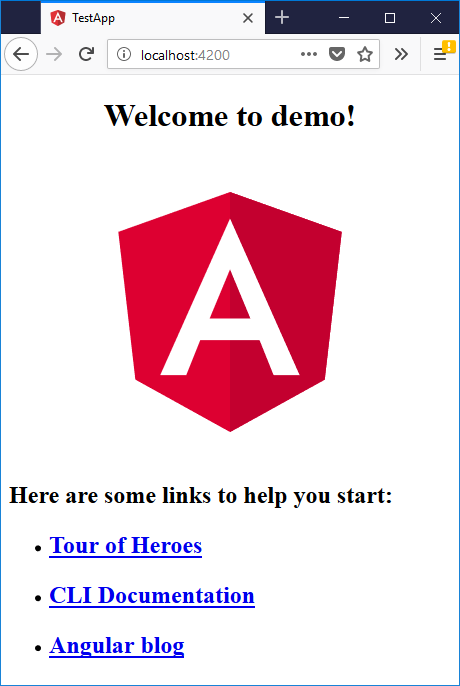 In this article, we will see what Angular CLI is, why it was created, what you can do with it, how to install and how to use it for app development. Angular CLI is a Command-Line-Interface that can be used to scaffold and create an application that follows best practices out of the box. Why Angular CLI was created? Creating an Angular app from scratch is a difficult and time-consuming task. If you are not using a code-generator tool, every time you create a new Angular app, you have to create a folder structure and add some files, most of which is boiler-plate code. When working in a team, how do you make sure everyone is following the Angular conventions and style guide? How do you create a build optimized for production? How to configure unit and end-to-end tests? To answer all these questions, the Angular team came up with Angular CLI which can help create projects, follow their style-guide, generate code, test, and create optimized builds. Host the code in development server to preview your app while development. NodeJS 6.9.0 or higher version is required to use Angular CLI. You can download it from NodeJS website. This will install Angular CLI globally on your machine. This command creates an Angular app in its folder named my-app. It also runs npm install to get all the packages it needs, generates unit tests and one end-to-end test. Aliases are specified in parentheses wherever available, you might want to use them to shorten the command. --prefix (-p) //Set prefix to apply to generated selectors. Go to angular-cli-new page to see all options for the new command. This command, the app name is test-app, so project files will be created under folder test-app. Routing is configured for you and style file generated will be scss instead of css. Since --dry-run is mentioned, it won't create any files yet, it just lists the files that will be generated for this command. dry-run comes very handily if you want to see what files will be generated and where those files will be generated, so you can update the command before actually generating the files. Apart from app, you can generate common angular features like Components, Services, NgModules using ng generate command. Let's see them all. We can use build to compile the app to an output directory. All builds use bundling and production build adds uglification and tree-shaking. ng build command without any other parameters is for development, it generates code in the output folder specified in angular.json file, which is dist\test-app in our case. You can see in the output it generated various js files and corresponding source maps. Production build is different from development build in many ways, overall development build is targeted to help faster development and production build is generally targeted to be secure and run faster. So, output file sizes in development are larger than in production. Source maps are not generated. --sourcemap(-sm) //If you like to generate source-map in prod. It is on for development by default. --aot //If you like to do AOT in the development build. It is on for prod by default. --watch(-w) // Watch and rebuild. ng serve compiles the code and starts listening on port 4200 by default. It serves the compiled output from memory, which makes it faster and efficient for live reloads. Angular CLI can run the unit tests you have written in spec files. It will execute tests on all *.spec.ts files. I will run the unit tests and watch for any changes and run again if any change detected. To read more about Angular CLI, go to the official website and GitHub repo.